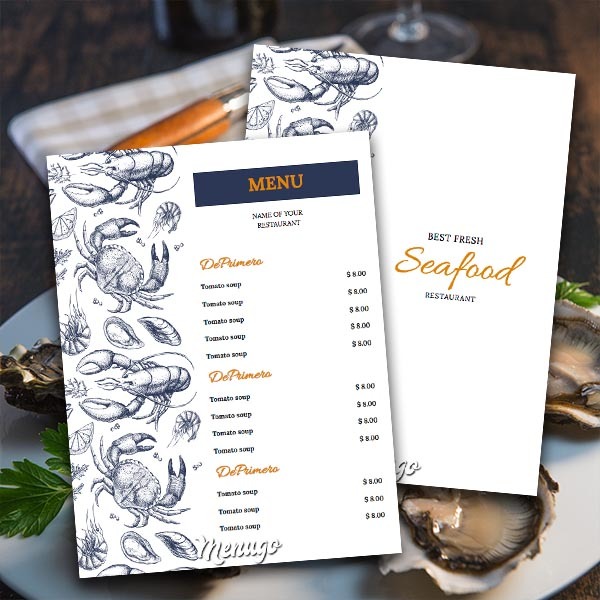 When it comes to finding a design for your seafood restaurant's menu, you can't go any simpler that this white, and blue template. It looks classy and easy enough to fill it even if you have a fusion-menu, just delete illustration from pages where you don't need it! Easy!